I am often told how blessed my life is. And I admit it. It really is. I have the opportunity to do things I never thought possible. I sometimes find myself sitting in my hotel room in some city, or on my couch at home, and cry with joy and amazement of the things that happen in my life. I am so thankful God saw fit to bless me this way. Often people tell me “You deserve it. You work hard.” Though I do work hard, that does not make me deserving of these blessings. If what you do decided what you deserve, doesn’t that undermine the definition of a blessing anyway? Though I have been blessed. Many people miss what my REAL blessings are. They think it’s the celebrities I work with, or the attention, the travel, my home, my network and my lifestyle. They see parts of my life on social media and see THAT as the blessing. Those are NOT the blessings. Those are just the results of the blessings. The real blessings are the things you don’t see. The things behind the scenes. My blessings are many, so I will only name a few. The first blessing is of-course, God being in my life, and allowing me to have a personal relationship with Him. Without Him, NONE OF THIS happens. I am a Christian in progress. I make a lot of mistakes. I am far from perfect. I don’t always display the best examples of Christianity, and I know He is OFTEN disappointed with the decisions and choices I make. When I’m hurt I’m sometimes angry with Him. Yet he NEVER fails to show me that He is still with me; and that the pain, though excruciating is temporary, and everything will be all right. My mother is an enormous blessing. I am naturally very closed off, distant and extremely private. I handle most pain internally, and alone. My biggest seasons of pain often manifests itself in me diving even deeper into my work. Rarely do even my closest friends know when I am struggling with something. I’ve always been that way. But I know if I EVER need her, my mom is there for me to talk to. That’s extremely comforting for someone like me that doesn’t open up to people very easily. My boy Kevin Porter has been a blessing. 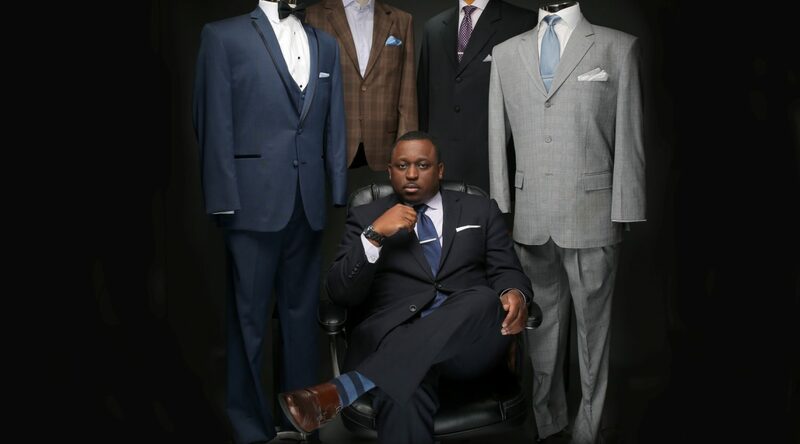 When I first got my space for William Wilson Clothing in Uptown Charlotte, I was constantly being given high estimates because people knew I worked with celebrities, and figured they could get over on me. (Not realizing I used to own a construction company and knew when they were lying and bidding me high). My buddy Kevin and I tore down all the old walls in the space, and built new ones. TWICE! We hung stuff on walls, moved things around, and then moved them again. And while others tried to charge astronomical prices, Kevin only charged me with friendship. He was always there for me, and he never charged me a dime. He wouldn’t even take it. My blessings are my friends, who at my darkest hour are always there for me. Even when they don’t know they are. They keep life in perspective. In a world where many are afraid to disagree with me, tell me I’m wrong, or put me in my place; they will. They don’t care if I get upset. They just tell me the truth, and I love them for that. They keep me from making stupid decisions more often than you think. My blessings are my loved ones. I have love for everyone. But I mean the ones I say “I love you” to. I don’t say those words easily. I probably haven’t said them to 10 people total in my entire life, outside of in a Christian way. Emotional intimacy is my greatest struggle. It always has been. I’m working to do better but it is a process. I’m not really an emotional person. I’m more of a pragmatist. It’s not the best way to be, but it’s all I know. So for people to know this and still stay in my life is a HUGE thing for me. So they are a very crucial blessing. My “haters” are a blessing. Yes they ARE a blessing. They make me pay attention to the small details. They keep me from overlooking things. They keep me from giving into those rare cases of anger, and posting responses that would immediately undermine my brand and what I stand for. I’m human. And though I’m not an emotional person, I do have feelings, and I can give into them at times. My haters make me make sure to try my best not to do that. And lastly, my blessings are you guys that support me. You have no idea how often the encouraging things you say and do for me have been the only bright spot in a rough day. I tend to be positive on my social media, so you rarely see, or hear, my pain. You guys always support my efforts, have positive things to say. You pick me up when I’m down. And I appreciate when I’m out in town and someone stops me that I haven’t met and introduce themselves as a Facebook friend, or Instagram/ Twitter follower. I appreciate you taking the time out of your day to acknowledge my existence. You could have walked by without saying a word and I would have been none the wiser. So thank you for showing me that what I do make a difference. I hope this gives a better insight to the REAL blessings in my life. Hopefully it will help you do the same. Take an introspective look at your life and find out what your REAL blessings are. You may be surprised with what you find out. Until next time…. God bless and dress well.